Variable speed drive ATV630 - 0.75kW/1HP - 200...240V - IP21/UL type 1. Drive Products. Variable speed drive ATV650 - 11kW/15HP - 380...480V - IP55. Drive Products. IP degree of protection: IP55. Variant: Standard version. Variable speed drive ATV650 - 15kW/20HP - 380...480V - IP55. Drive Products. IP degree of protection: IP55. Variant: Standard version. Variable speed drive ATV650 - 18.5kW/25HP - 380...480V - IP55. Drive Products. IP degree of protection: IP55. Variant: Standard version. Variable speed drive ATV650 - 22kW/30HP - 380...480V - IP55. Drive Products. IP degree of protection: IP55. Variant: Standard version. Variable speed drive ATV650 - 30kW/40HP - 380...480V - IP55. Drive Products. IP degree of protection: IP55. Variant: Standard version. Variable speed drive ATV650 - 37kW/50HP - 380...480V - IP55. Drive Products. IP degree of protection: IP55. Variant: Standard version. Variable speed drive ATV650 - 45kW/60HP - 380...480V - IP55. Drive Products. IP degree of protection: IP55. Variant: Standard version. 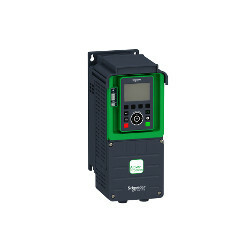 Variable speed drive ATV650 - 55kW/75HP - 380...480V - IP55. Drive Products. IP degree of protection: IP55. Variant: Standard version. Variable speed drive ATV650 - 75kW/100HP - 380...480V - IP55. Drive Products. IP degree of protection: IP55. Variant: Standard version.